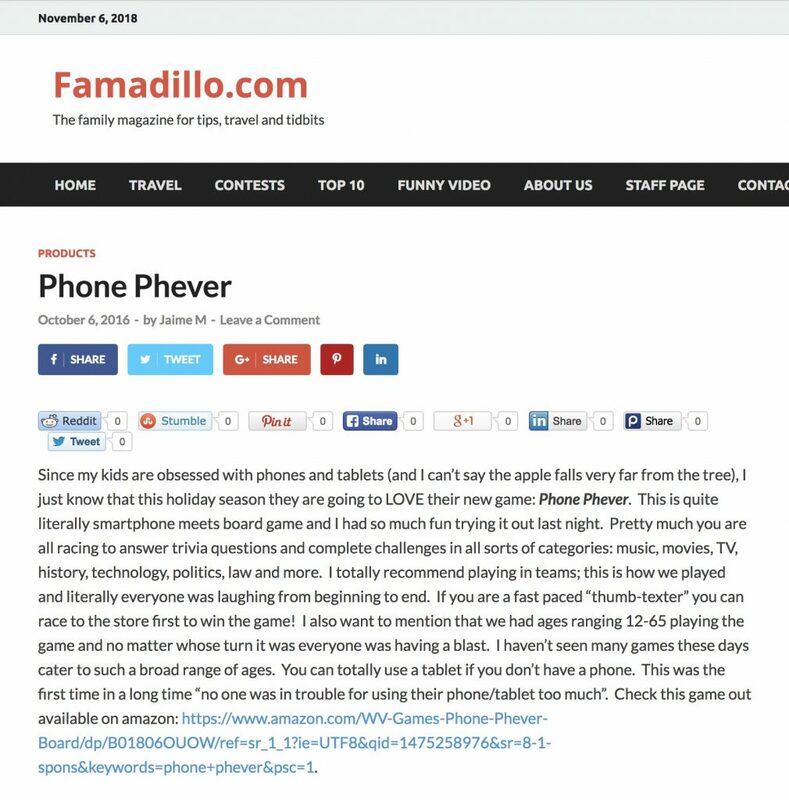 Since my kids are obsessed with phones and tablets (and I can’t say the apple falls very far from the tree), I just know that this holiday season they are going to LOVE their new game: Phone Phever. This is quite literally smartphone meets board game and I had so much fun trying it out last night. ← TTPM gives Phone Phever 4.5 Stars!